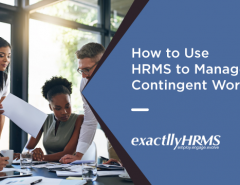 One of the most important features of an HRMS is employee self-service. 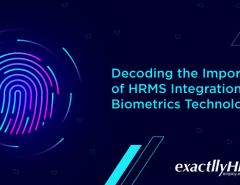 While it can be offered as a web-based application, it is usually integrated within an HRMS as well. Employee self-service (ESS) allows employees to access their payroll details and personal records. 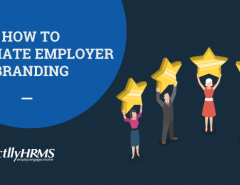 How can ESS be used to enhance the autonomy of employees? ESS can be used to let employees change their own contact details, information related to their family members and their benefits and banking information. Many of the ESS systems also integrate leave management, which enable employees to apply for leaves themselves, without having to approach their managers. Other than accessing personal information and making changes, an ESS allows employees to view their compensation history. The idea of an ESS evolved many years ago as part of a drive to make employees more self-sufficient and responsible, instead of them being chaperoned by their human resource managers. As employees are becoming increasingly mobile and autonomous, employee self-service solutions will grow in their importance and will likely overtake current practices of having to approach HR professionals for a number of tasks. For an organization, this can reduce a large percentage of burden that usually falls upon HR and IT departments. In this article, let us take a look at how employee self-service can boost productivity across departments. Employee self-service helps employees to access data related to their job profile, contact details, earnings, payroll taxes, insurance, retirement and savings, vacations, leave applications and certain government forms. Information regarding these can be edited by employees themselves, without them having to approach their superiors. This reduces unnecessary expenditure of time resources on mundane activities that can be carried out by employees themselves. Organizations waste a lot of time and money in managing simple tasks that employees can handle themselves without any supervision. Sometimes, jobs are unnecessarily created to perform tasks that an employee can himself/herself do with the help of employee self-service. When space and time are freed up with respect to commonplace /regular activities, managers can allocate time and budget resources towards more pressing issues. We no longer need an “assistant HR executive” whose only work is to enter data related to leaves taken by employees, changing their contact details or giving them information about minor policy changes. An employee self service module can do all that. There are times when employees knock at the doors of IT staff just to change a password or to retrieve a file that went missing. Everyday tasks like these can be thrust upon employee self-service systems so that the IT staff is liberated from mundane tasks. This helps them to devote their valuable time on more pressing issues, which ultimately lead to an increase in productivity across the organization. The idea is to allow employees to do everything that they can do on their own. While IT staff are usually contacted by employees for minor difficulties in using computers or retrieving passwords, human resource professionals deal with a lot more unnecessary questions and requests from employees. Whether it is to request for a leave or to apply for vacation, an HR manager does not have to waste his or her time attending to an employee. Similarly, an employee does not have to wait outside the cabin of an HR manager just to ask for information related to payroll or taxes. This allows both HR managers and employees to concentrate on more important issues. An employment self-service system ensures that information that has to be guarded is well guarded. When employees access and edit their own data, there is little chance for it to be misused. Moreover, employee self-service systems are equipped with industry-standard security measures which ensure that nothing goes amiss when it comes to safeguarding sensitive data. This enhanced security can increase productivity by avoiding unnecessary expenditure on compromised security situations. When employees are allowed to access and edit their own data, they will not be hard-pressed to contact their superiors, all the time. Let us face it. Employees usually have a lot of questions regarding their salaries, appraisals and other such details. When these questions hover around their mind for a long time, they get distracted from their job. When information is at hand, they can access whatever they need to know in a matter of few seconds and then get back to work. When necessary details are available round the clock, delays can be avoided. Whether this is about filing tax returns or entering some of their information to claim benefits at the last moment, employees will not have to wait in line to access information. They can do it from the comfort of their homes. If your organization is a little picky about letting employees access information from their homes, you could simply make that information accessible and editable on intranet, within the company’s premises. A major concern that worries both the administration and the employees is related to security. Whether it is security related threats with respect to personal information or banking details, it is a legitimate concern that every company must be aware of. When employees’ information remains confidential and IT and HR staff are not allowed to access details unless it is warranted, security can be ensured, thereby avoiding untoward incidents. In countries like Singapore, where group dynamics is slowly moving towards an autonomous workplace, employee self-service will likely be valued. Employees in hierarchical societies like Singapore are often reluctant to approach their managers for what they may deem to be frivolous. In such situations, an effective employee self-service system will ensure that no time is wasted in accessing or editing information. Instead, time, resources and money can be used to make investments in technologies that boost productivity and efficiency. It is just a matter of time before employees will begin to work under more autonomy. Flexible work timings have led to a situation wherein employees are usually not at the campus at all. Instead, they may just be in touch with their managers through a smartphone or a tablet, especially if their jobs require them to be on the move. With all this in mind, making employee self-service more comprehensive will help companies to reduce lag and increase productivity. Employees, on the other hand, will feel more in-control. And that adds to their self confidence and a sense of autonomy, which has been repeatedly correlated with job satisfaction and productivity. Previous Article How Cosmopolitan Is Your Dubai Customer Base?